A memorial Mass was held for Fr John Baptist Cheng Kwok-Cheung and Fr Peter Ngai Wan-Fai, who were killed on 7 September 1953 in the parish of Wanchai for denouncing communist persecution of the Church in China. Fr Cheng’s niece wants to keep their memory alive. Hong Kong (AsiaNews) - A memorial Mass in honour of two Chinese priests, martyred 65 years ago, took place last Friday at the Church of Our Lady of Carmel in Wanchai, Hong Kong. The two priests, Fr John Baptist Cheng Kwok-Cheung and Fr Peter Ngai Wan-Fai, were killed on 7 September 1953 in the parish of Wanchai. At the time, investigators emphasised that nothing had been stolen from the scene of the crime. "I wanted this mass because I want my generation to remember my uncle,” said Cheng Tak-Mei, Fr Cheng’s niece. 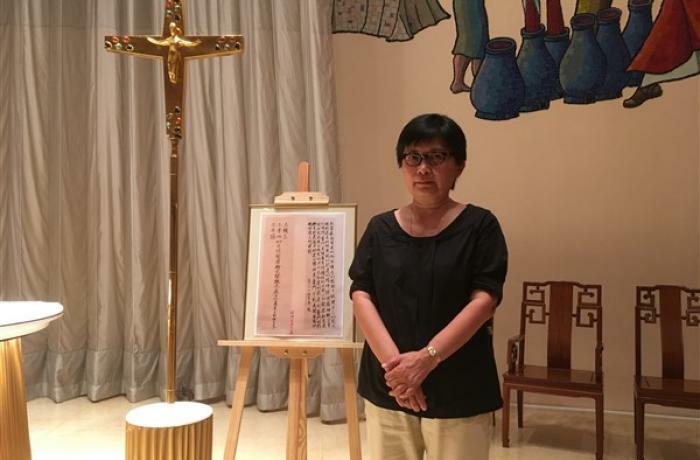 The last celebration in memory of the two consecrated persons was held 25 years ago, and today the niece – one of the few relatives left in Hong Kong – is afraid that the memory of the event will be lost. 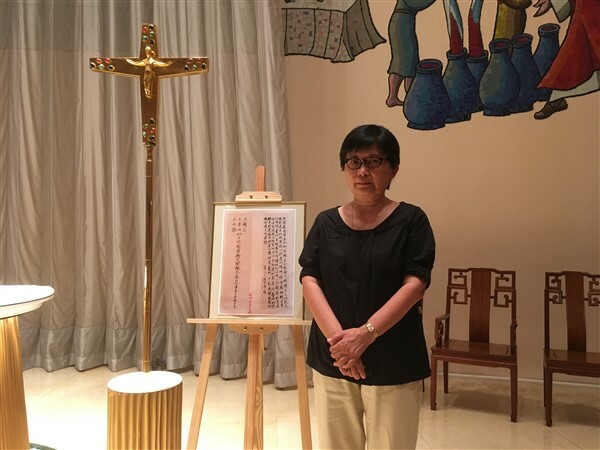 Although she was born after her uncle was killed, Cheng remembers how her grandmother always talked to her about Fr Cheng’s devotion to God and the truth. It is widely believed that the two clergymen were eliminated by the Chinese Communist Party because they had complained about discrimination and persecution against Catholics in the People’s Republic China in the early 1950s. Two months before his death, Fr Cheng – director of Kung Kao Po, Hong Kong’s Catholic weekly – received a threatening letter telling him to resign. According to John Ngau, a Kung Kao Po reader, the British government that ruled the territory at the time, did not conduct a thorough investigation into the priests’ death to avoid problems and keep out of the fight between the Communist-held mainland and Nationalist-ruled Taiwan. Fr Thomas Law Kwok-Fai, the parish priest at Our Lady of Carmel in Wanchai, and Fr Timothy Wan Kwok-Kwong, a young diocesan priest, concelebrated the Eucharistic service in memory of the two martyrs. "We commemorated our dead ancestors,” said Fr Law. “This is not related to with politics. I can only say that the reports from that time are true. The martyrdom of Fr Cheng and Fr Ngai resembles the sufferings of Jesus under Pontius Pilate." Ian Ng, a young Catholic, praises the two priests. "They are witnesses of Christ and a role model for Hong Kong Christians. They were prophets who spoke out for the truth and criticised injustice. They make me think that we cannot be indifferent in society, especially in today's Hong Kong." Fr John Baptist Cheng Kwok-Cheung was born in Hong Kong in 1918 and ordained priest in Macao in 1944. He was devoted to the ministry of evangelisation via writing. Shortly after his ordination, he was appointed director of the Kung Kao Po and head of the Chinese section of the Catholic Truth Society, a diocesan publication. He also launched a monthly magazine for Chinese students, whilst serving as the spiritual guide of the Association of Chinese Catholic Students. He was very popular among the latter. Fr Peter Ngai Wan-Fai was born in 1900 in the province of Guangdong, and ordained priest in 1930. During the Japanese occupation of the area (1941-1945) he cared for the rural population in the Hoi Fung area. After the war he returned to Hong Kong to work in the parish of Wanchai. He worked with Fr Cheng until both were killed.